A recent Facebook post has been going around stating that from 1 July, new traffic rules dictate that drivers would not be able to “touch your mobile devices while driving, not even at traffic lights”. It went on to list the fines drivers can potentially face, stating that they were a “new pricing from Traffic Police (Price increase without further notice)”. The new driving rules are in force from 1st July. Remember not to touch your mobile devices while driving, not even at traffic lights. First-time offenders can be fined up to Sgd$1,000 and/or jailed for up to six months. Repeat offenders get up to double the penalty. Anyone caught using any function of his mobile device and holding it while driving could be found guilty of committing an offence, under proposed changes to improve road safety in Singapore. This includes not just communicating with someone else via calls or texts, which are offences under existing law, but also surfing the internet, visiting social media platforms and downloading videos. The new rules would apply not just to phones but also all mobile communication devices, such as iPads, under the broadened Road Traffic Act. Share to those who drive!! drive carefully! Soon enough, the post was picked up by another publication, and that simply seemed to fuel the ‘legitimacy’ of the post. As a driver myself (and a kiasi one to boot), however, I’m usually inclined to believe the stricter rules mentioned in the post – you know, the safer the better. In spite of that, there was still something glaring about the posts – there seemed to be no link to any official release from the Traffic Police, which definitely rang alarm bells. 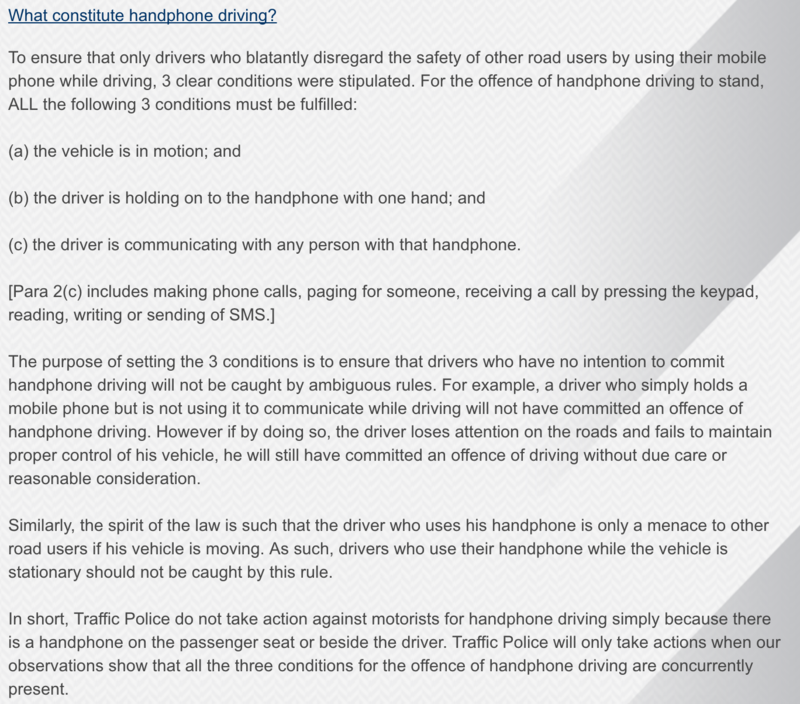 Unsatisfied, I went to the Traffic Police’s official FAQ and checked out the rules for usage of mobile phones while driving. 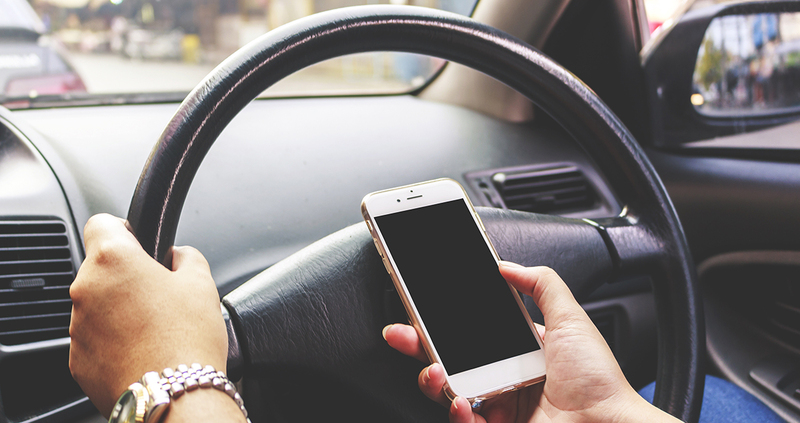 What therefore currently stands is no different from the rules that drivers are already familiar with, so drivers, you will still be able to hold on to your precious phones while you drive. Just make sure that you’re not using them in any way. 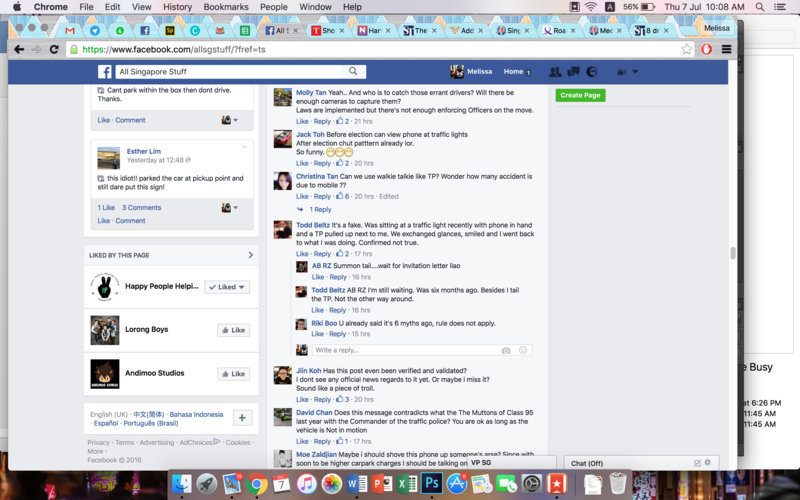 The intentions of the original post, are very likely, pure and good, but if there’s anything to take away, it’s that as social media users, we have the responsibility of making sure that our posts are either backed-up by official sources (mainstream news sites, official press releases) or clearly stated as personal opinion/observation if otherwise. As consumers of social media news, it’s also important that we ensure that the news we stumble across is properly cited. Even if we do not have a few thousand friends, the onus is still on us to disseminate accurate information to our social networks.